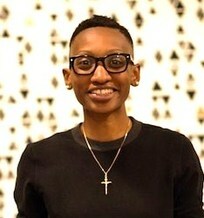 Now a communications consultant, Dream director and Oakland resident, during the 2014-15 school year Holley will be piloting a public speaking training program at selected San Francisco and Alameda County schools, conducting enrichment programs serving transitional age youth and at-risk, underserved students in grades 9-12. The training will prepare them to excel in the communication scenarios most critical to thriving as leaders in the evolving world and entrepreneurial workforce. Custom-tailored to be fun, challenging and experiential, youth will get the opportunity to present on topics of their choosing and win prizes and mentoring support in a culminating public speaking competition. Most importantly, the training will enable schools and programs to continue activating and empowering student voice.